Although the blog recently hit the one year anniversary mark, I hesitate (in a huge way) to say I have this blogging gig all wrapped up in a pretty bow, under control and on lock. No-to the-way. I’m still very much a newbie around these parts…and learning as I go each day! One thing I know for sure is there’s a lot ton more to learn and your blog is never a finished product. There aren’t only the hopes and dreams you have for the content and visual appearance of your blog. You should keep in mind how your readers view of your online space and stay connected to them (ex. answering their questions and comments), keeping up with social media changes, and then there’s the advertising or revenue stream to stay on top of…that is, if you’re lucky enough to make any money at all from blogging! And there’s SO much more too! The binder was working well, but quickly realized it needed improvement. As we know, systems are a work in progress that need tweaking until you have the perfect recipe that works for you and your style. And of course, feel the need to tweak again. Ha! 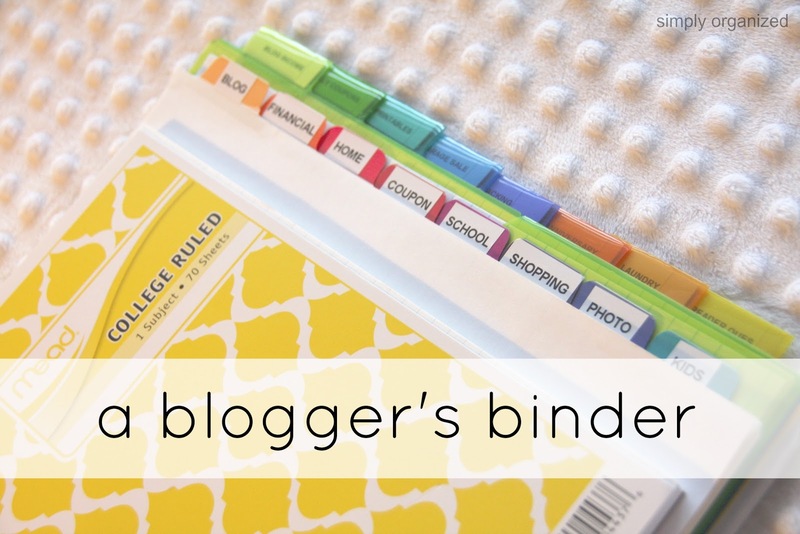 Today I’m back with blog binder #2 Hopefully this one will keep me on my a-game for a while! I needed paper in the binder so that no matter where I am, I have the ability to take notes and add them to each section. Sometimes I bring the binder with me to therapy appointments…where I sit for up to an hour waiting in the lobby. The final section of the binder is what I’m really excited about! One issue previously bothering me was where to keep ideas / notes regarding upcoming topics. Sure, I use pinterest, but sometimes I find a magazine page or suddenly have this great idea so I write it down. I needed a section in the binder dedicated to those topics. And of course, when that big topic was published on the blog, I wanted to easily add a new project to the binder in its place. The next several dividers hold the bigger topics I mentioned. These are posts that require a bit of time on my part to assemble. The rest of my blogging ideas are on my wunderlist app. Was excited to get the binder to work today! Been busy making notes and filling the pockets. If you are a blogger, how are you organizing everything you need to stay on top of? Thank you so much, Chloe!!! I love your name! Great binder Samantha! I really need to get my blogging stuff more organized and I've been thinking of something similar. 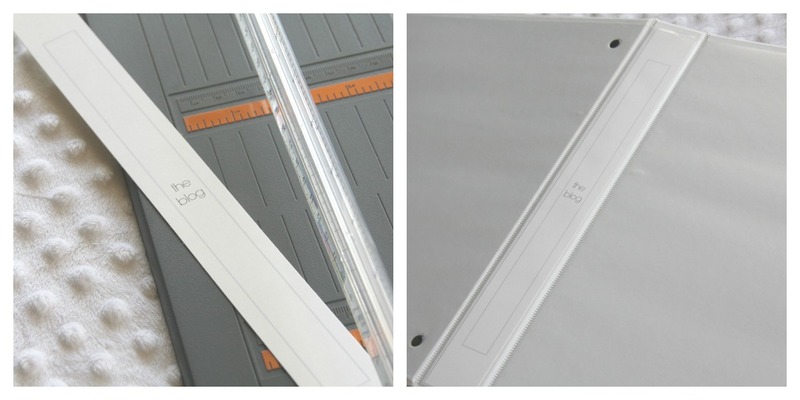 I like those pocket tabs…great for keeping all those little bits of papers together. I'll have to get some of those when I make my blog binder. Thanks for the great tips and ideas! Thank you so much for coming by and leaving a comment too! I am so inspired by your blog organisation. I am a mere month blogging and find it challenging to organise myself. I am still not 100% happy with the look of my blog and have some gadget/buttons to add but this note book is fab. I did take inspiration from your first binder and created some nice sheets for me to jot my notes down on. It really helps. And helps that they are colourful and pretty. Thanks a mil for this post, its a great one! Thanks Samantha for such a great idea! I've been wanting to get my blogging stuff together in one place and this is perfect! I am 100% going to do this. Have a wonderful day! Love this!!! Super cute & your ideas for each section are great!! I'm new to the blogging world and trying to figure out the best way to get it all organized. So far I've just had random sheets of paper and post-its all over my desk and in my class binders! Thank you for sharing your great binder!! That is such a cute binder! I did something similar but I wanted to organize my Etsy Shops and multiple blogs so I made a Creative Business Binder Library. Thanks for this post, found it on Pinterest! You have inspired me to get a little more organized with my blogging! I just started blogging and came across your pin! love it. I had been thinking about doing something like this so it was nice to see it all put together. Thanks for sharing. I love this binder setup! I am in the very beginnings of starting a blog and love this binder. What a great planning tool! I am all about lists, notes, and something I can carry around when I need to. Thanks for sharing this. You’re welcome and welcome to the blog world! It’s a fun place to be! !